So, yes. 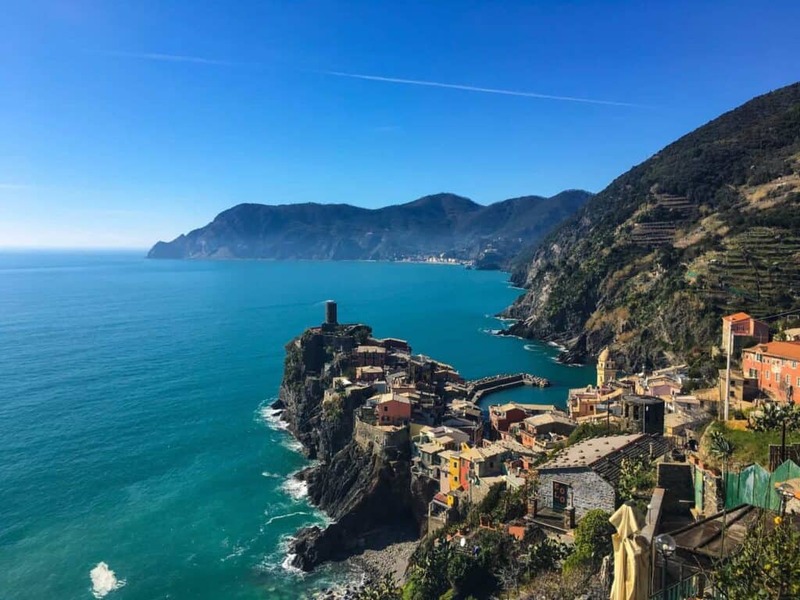 I took this trip almost a year and a half ago at this point. 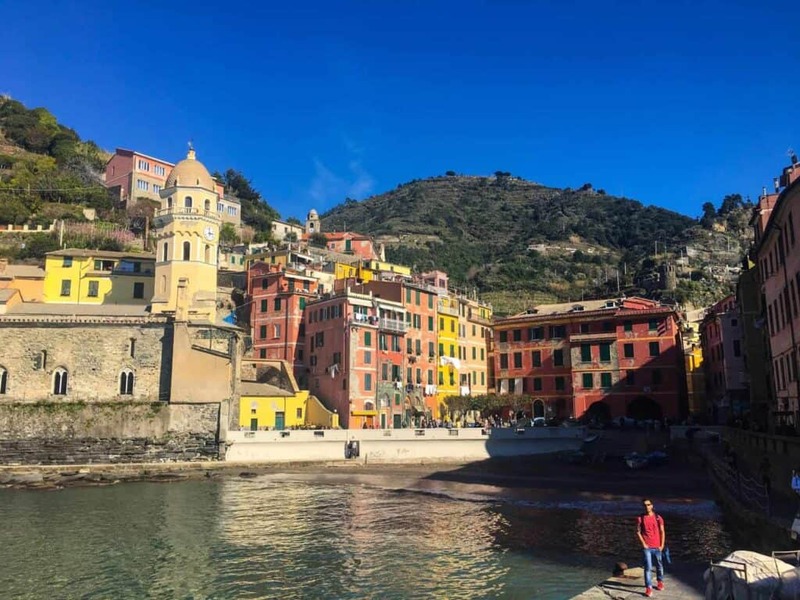 But now that I’ve finally started reliving our trip to Italy through food (see Pasta all’Amatriciana and Cacio e Pepe), sharing these photos felt a bit more exciting. Our trip was bookended by time spent in Rome with a trip to Florence in the middle. 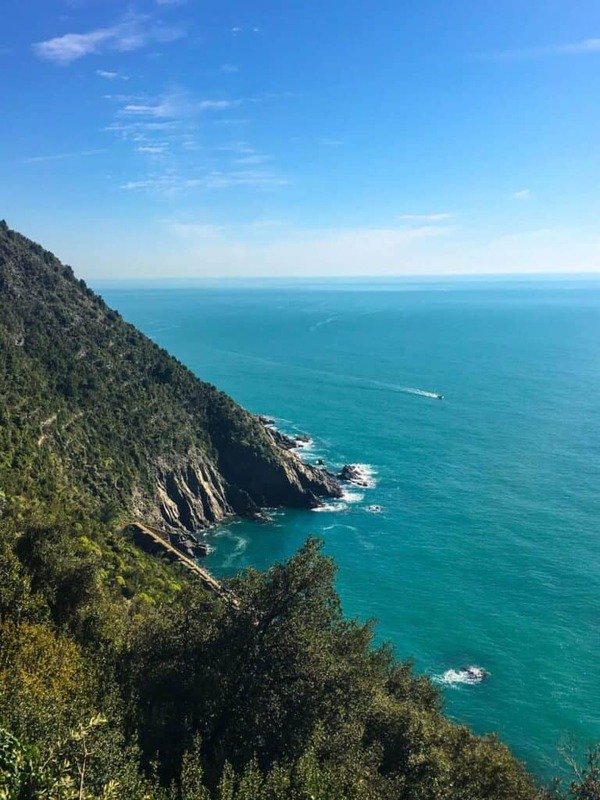 While in Florence, we took a bus to Cinque Terre–Five Lands, in Italian–to do a little hiking with a couple of friends. 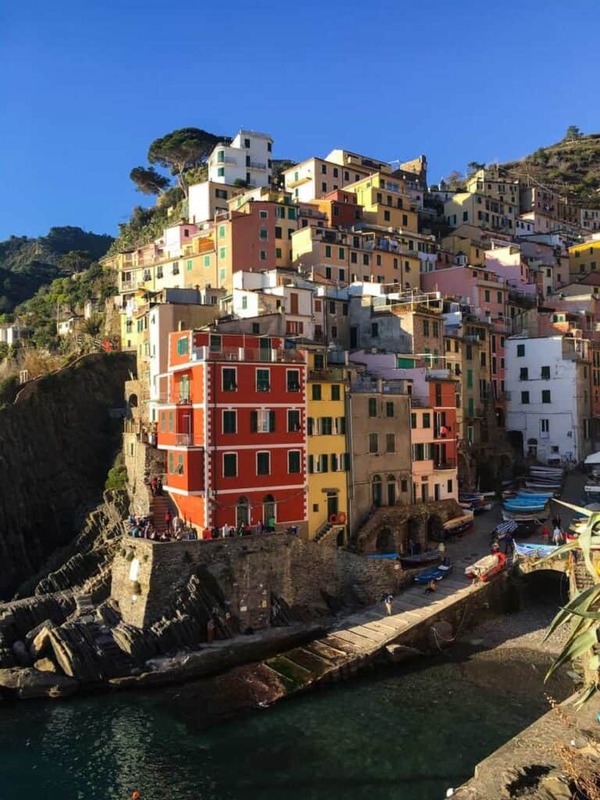 Cinque Terre is actually a collection of 5 villages set in the rugged coast of northwestern Italy. The villages are pretty remote. Our tour guide (who was FANTASTIC) told us that a lot of the time, supplies actually need to be taken to the villages via helicopter. 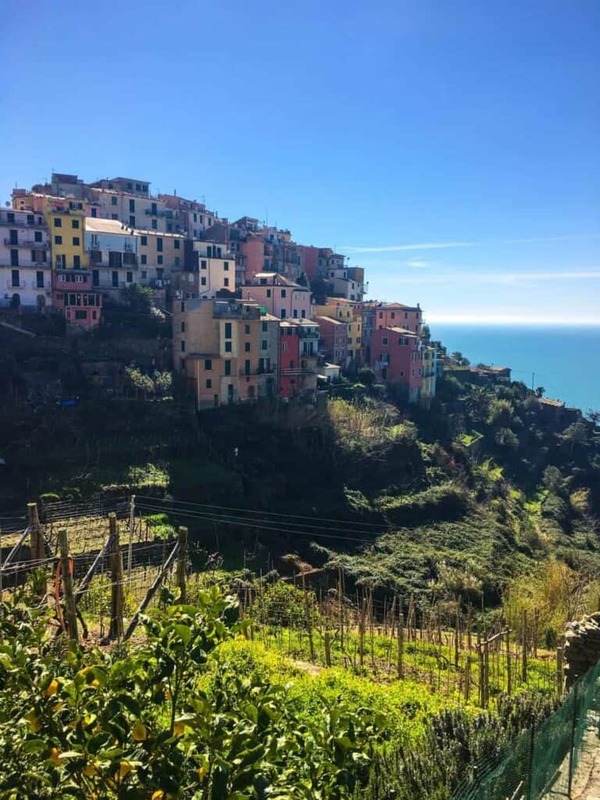 First, the bus took us to Manarola, the first of the Five Lands. 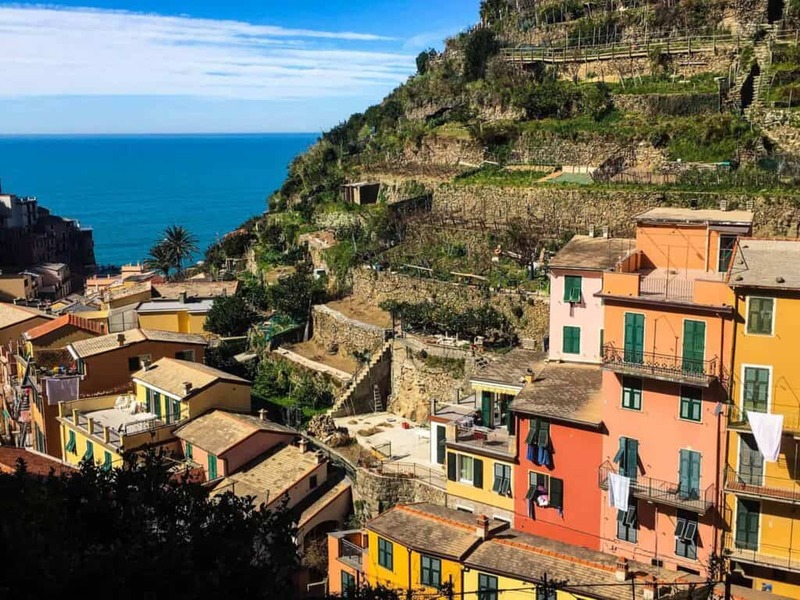 After checking out Manarola for a little while, we were bussed to the next village: Corniglia. 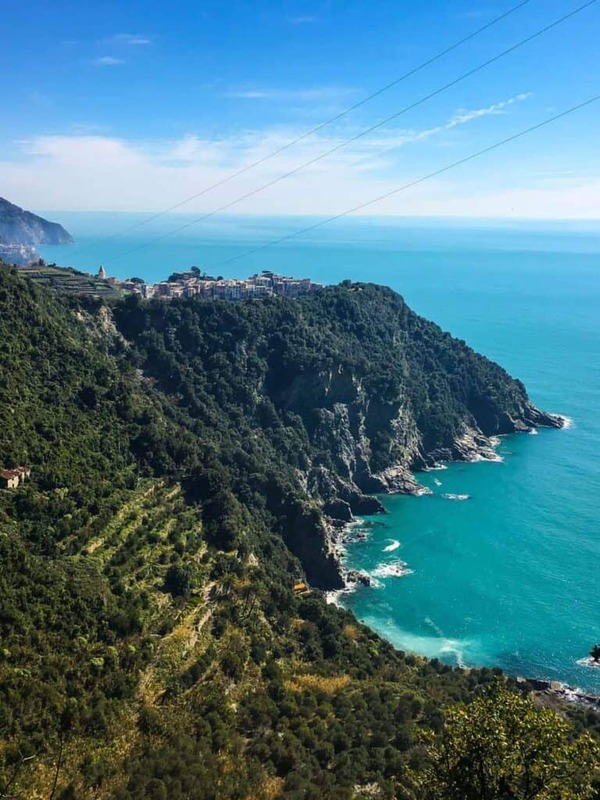 To get to Corniglia from where the bus let us off, we had to trudge up 382 steps. It was worth it, though. Because, well, take a look at how pretty the town was. We ate lunch at a restaurant that purported to have invented pesto. Regardless of whether that’s true, lunch (pesto pasta + a variety of seafood) was very good. Then the hiking began. I won’t lie to you. It was pretty strenuous (lots of steep stairs!). But even my overweight, out of shape self made it in one piece. 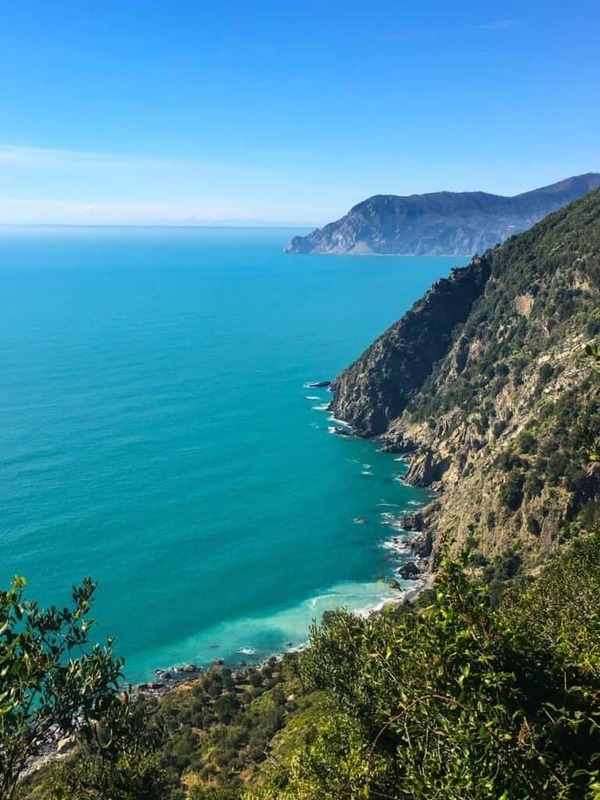 During the hike we overlooked the Tyrrhenian Sea (so blue!) and could see little towns in the distance. 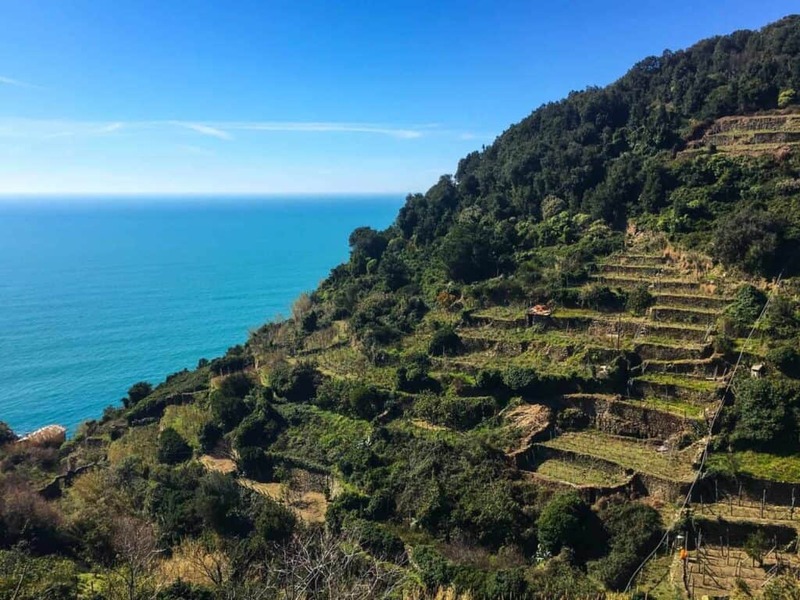 The hike culminated in Vernazza, the next village. Again, super beautiful. Figuring I deserved it after the hiking, I treated myself to some really amazing gelato (pistachio and some kind of fig business). I also dipped my feet into the sea. It was very cold. 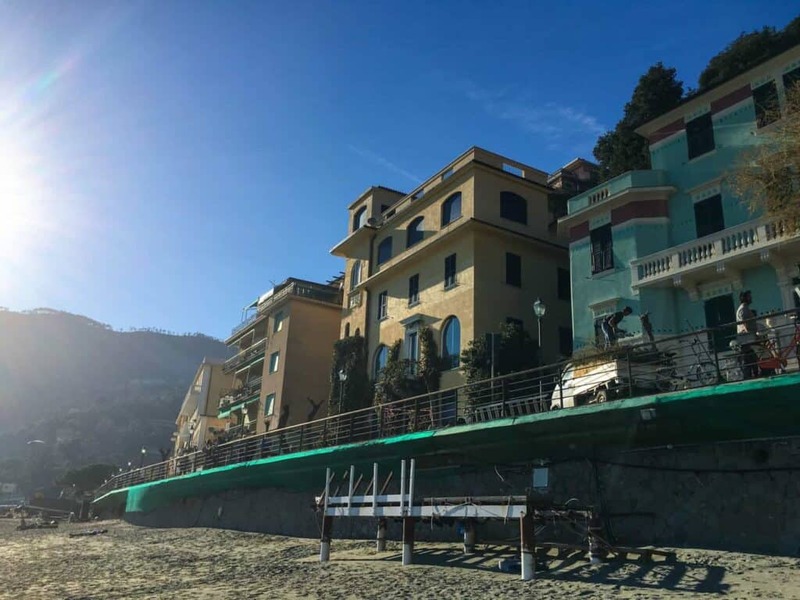 After being allowed to explore Vernazza for a little while, we hopped on a train and took a short trip to Monterosso al Mare. 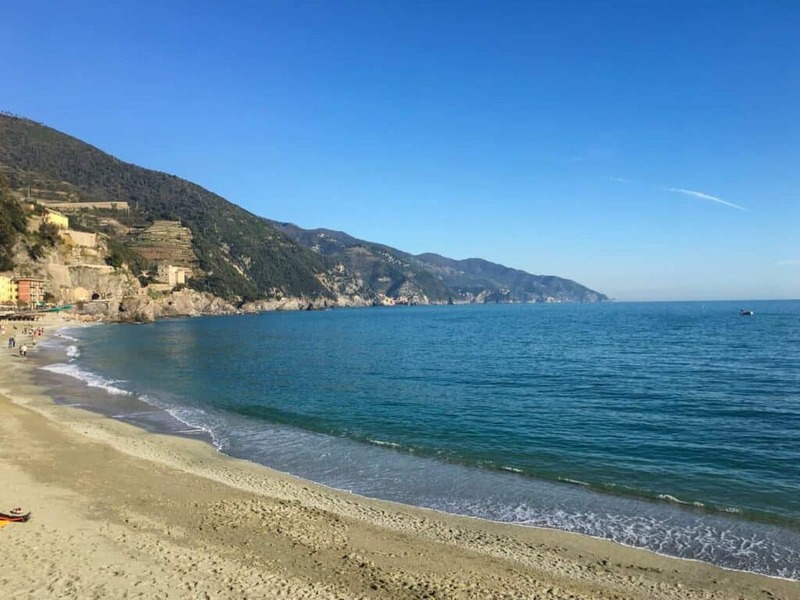 Not shown in the photos below, there were a lot of people sunbathing on the beach. Lots of Speedos. A few couples were getting a little explicit in the sand. 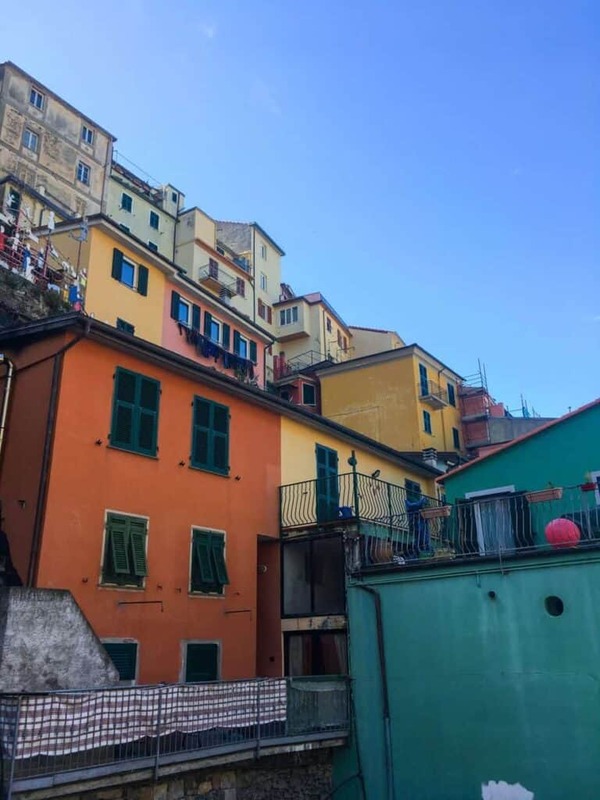 Another short train trip took us to the last village: Riomaggiore. By this time, we were all pretty exhausted. 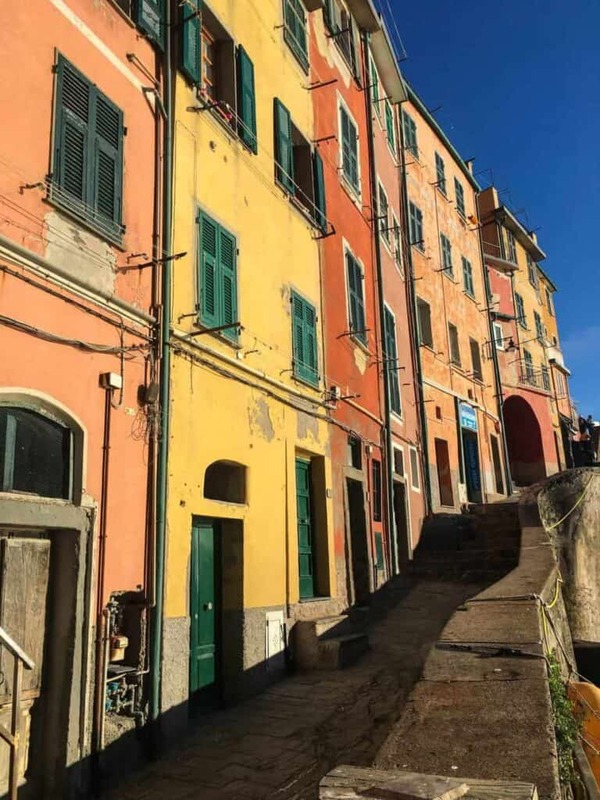 But we trudged up and down the steep streets, exploring the village. The sunset really made things look beautiful. From there, we took a train back to the bus and drove back to Florence. All told, the trip took a little more than 12 hours. The pictures above hardly do the area justice. 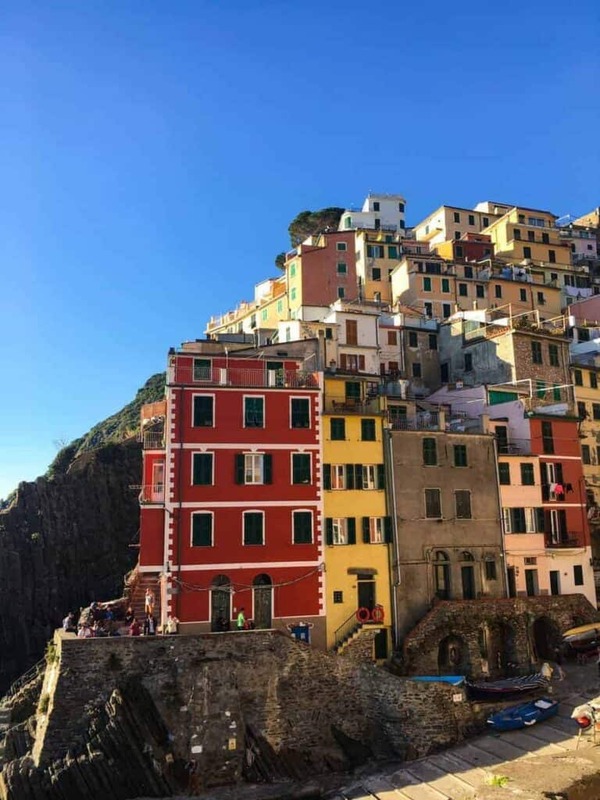 The landscape and houses were really vibrantly colored (not always accurately captured via my iPhone’s camera). It also seemed like everywhere you looked, people were growing lots of Meyer lemons. 10/10 would definitely (and hope to!) visit again. 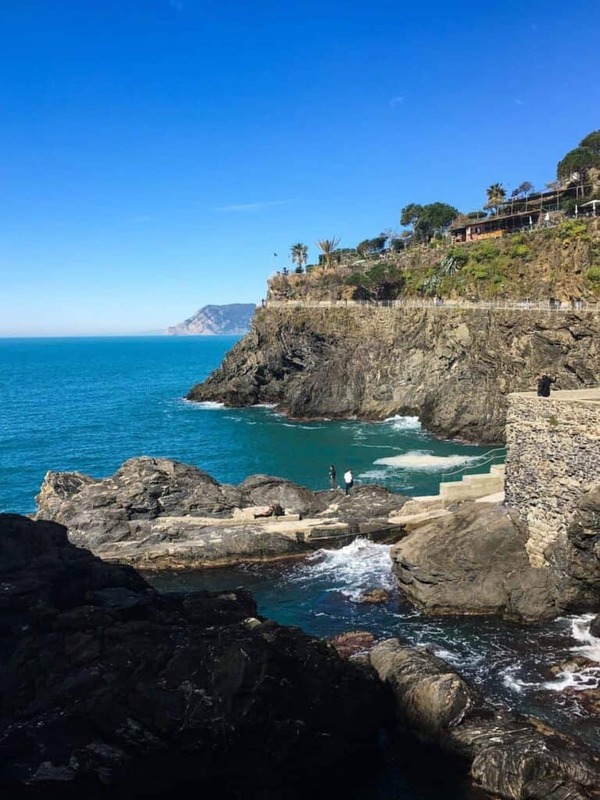 If you are ever able to, I can’t recommend visiting Cinque Terre highly enough.